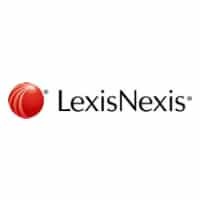 LexisNexis UK, a leading global provider of information and analytics, will be showcasing its comprehensive legal software portfolio on Stand A30 at London Law Expo and hosting a panel discussion on ‘Delivering on the Tech Promise’ in The Illumio Tech Hub at 15:05pm. Facilitator Ann Hemming, Engagement Manager at LexisNexis will be joined by: Ruth Ward, Head of Knowledge & Collaboration Technologies, A&O; Mike Giles, Finance Director, FieldFisher; and Darren Ingles, Senior Director, Program Management, LexisNexis Enterprise Solutions. The panel will discuss how to deliver ROI, drive best practice, gain competitive advantage and plan for change. On Stand A30, LexisNexis experts will be demonstrating the breadth of the LexisNexis legal software ecosystem comprising Practice of Law (Lexis®PSL, Lexis®Library, Lexis®Draft) and Business of Law (LexisOne™, Lexis® Visualfiles™, Lexis® InterAction®) trusted software solutions designed to support all types of lawyers to improve business and professional outcomes.